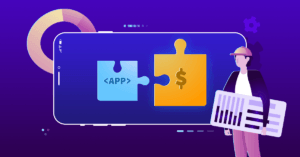 At TheTool we are always working to deliver useful and unique features to help marketers and developers get the most out of the App Store Optimization process, and also to ensure that users get the best experience with their all-in-one tool. Are you looking for further insights in order to know more about where your app’s users come from? Well, say no more, because we are presenting search visibility for all countries. In this new chart, we show you the number of impressions that the app gets by search and its relation to the number of installs that it gets. This feature goes hand in hand with the search visibility, only that this one shows the number of impressions while browsing the app stores, and how many installs does the app get. Isn’t that great? There goes another great one. We are delightful to present the conversion rate by acquisition channel chart, so you’ll be able to see the following percentages of conversion rate. 3rd party referrers: unique users who installed the app from a deep link from a third-party referrer. If you want more insights on conversion rate, check out this post: How to Improve Conversion Rate for Mobile Apps and Games. Providing only the conversion rate wasn’t good enough, so the other graph that we are presenting is the number of installs by acquisition channel. In this case, we show the same information provided with the last chart but with the number of installs, so we can now exactly how many installs we are getting from several channels. We are constantly working on improving our existing features, but we also like to give new ones to users and to add more data to make TheTool the all-in-one ASO platform that everyone would like to have. Don’t miss the opportunity to check out these awesome features: search visibility, explore visibility, conversion rate by acquisition channel and installs by acquisition channel for both Apple App Store and Google Play Store. Be the first one to try them out! What do you think about these new features? We are looking forward to hearing from you in the comments!